Diffuse intrinsic pontine glioma (DIPG) is a childhood brain tumour that currently kills over 90% of children diagnosed with it within 18 months of diagnosis. DIPG is currently incurable, and most children affected by it die in less than two years. But a breakthrough discovery by Professor Chris and his team has identified a gene that may be the key to a new way of treating it. Scientists have found a genetic mutation in the tumour cells of some children with DIPG which may give us a way of tackling this disease. This vital project is giving us hope that we can find a new, life-saving treatment. Diffuse intrinsic pontine glioma (DIPG) is a childhood brain cancer with no effective treatment. Currently, more than 90% of children with DIPG die within 18 months of it being diagnosed. Professor Chris Jones and colleagues at the Institute of Cancer Research recently discovered that the tumour cells in around a quarter of DIPG patients have mutations in a gene known as ACVR1. These mutations in ACVR1 have never been seen in any other form of cancer, but are the same as those found in every cell of the body in patients with a condition called fibrodysplasia ossificans progressiva (FOP). This is a debilitating condition where the soft tissue turns to bone during childhood. The link between FOP and DIPG has never been reported before and highlights the important overlap between processes which control normal tissue development and those which control cancer. The hope is that ACVR1 represents a new target for developing better treatments for children with DIPG. We don’t have any effective treatment at the moment, and this project is the strongest hope we’ve had for a new treatment for some time. Professor Chris and his team will investigate whether treating DIPG cells with specific drugs designed to inhibit the action of ACVR1 will also stop the cancer cells growing. They’ll test this both ‘in vitro’, (in laboratory culture dishes), and ‘in vivo’ (meaning in a living body), using mice. They’ll test a collection of DIPG cells with and without the ACVR1 mutation, and try several potential new drugs. They’ll also use the ACVR1 mutated cells in a very large scale screening exercise to look for other ways to kill them. Finally, the team will aim to breed mice with the mutated ACVR1 gene, and study them to help them better understand how the tumours develop. This knowledge will give them better understanding of how we could go about treating them. By the end of the study, the team hopes to have enough data to show which drugs work best. If they’ve worked well enough, this could lead to a clinical trial of new drugs for children with DIPG. Professor Chris Jones is one of the UK’s leading experts in childhood brain tumours, and specifically in DIPG. 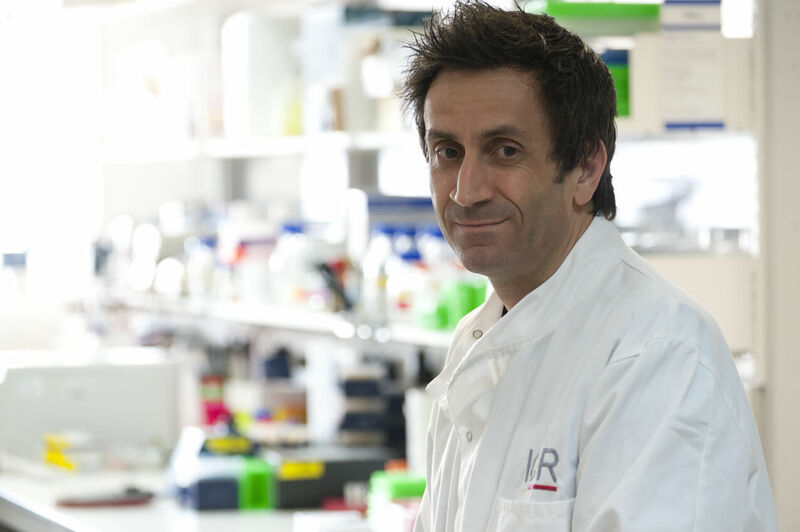 His lab has been responsible for some of the key findings underpinning the realisation that high grade gliomas (HGG) and DIPG affecting children are different diseases, not just from each other, but also from similar-looking tumours occurring in adults. Chris is Chair of the HGG/DIPG Biology committee of the SIOPE Brain Tumour Working Group giving him a European leadership role in finding new approaches to help more children survive these diseases. On this project, he is working with Dr Louis Chesler, also from ICR – a specialist in new drug development – and Dr Darren Hargrave, a paediatric oncologist from Great Ormond Street Hospital and a world leader in taking forward findings such as these into clinical trials. We have lots of fantastic events you can take part in!